Money management involves planning ahead, but during tax season, there's more of a "just get it done" mentality. CPA and personal finance advisor Jeffrey F. Strawhacker believes now is the time to start learning about ways to not only pay the government less, but also to pay yourself more through better financial strategies. Strawhacker is the owner of Strawhacker & Associates in West Des Moines, Iowa, a multi-service firm providing small businesses, individuals, and nonprofit organizations with tax, accounting, and consulting services. For more than 25 years, he has counseled clients about the benefits of better money management and paying yourself first. Strawhacker is a member of the American Institute of Certified Public Accountants and the Iowa Society of Certified Public Accountants. He also served two terms as the chairperson of the Iowa Society's tax committee and is a consultant to individuals hoping to establish small businesses and need money management advice. LoveToKnow (LTK): Many people think the objective of good tax and money management is to get a big refund back every spring. Is this true? Jeffrey Strawhacker (JS): I believe that over-withholding on your income taxes during the year simply to get a large refund is a bad policy from both a tax and a financial standpoint. There are those who will justify a large refund by saying that is the only way they can save money for a large purchase or a vacation. For many, this may be true. However, if people would stop and think about what is really happening when they get large refunds, I think many would change their current practice. One way to picture this is to think of yourself as a bank, with the government being your customer. With every paycheck, you give a little extra to the government to spend on its various programs. Then each spring, you sit down with the government to figure out how much you really should have sent in and ask the government to give back any extra money you sent its way, which the government will gladly do, without paying you any interest for the use of your money. In reality, all you are doing is providing an interest-free loan until you want the money back. LTK: What other options do we have? JS: You can reduce the amount of taxes withheld during the year to more closely match your tax liability. This will provide a little extra income each pay period. If you are disciplined, that extra income can be set aside in a savings account that pays you interest until it is needed for that purchase or vacation. If you are not disciplined, but have the availability of having your checks directly deposited, have the extra withholding part of your check sent to a different bank account so it is automatically deposited. 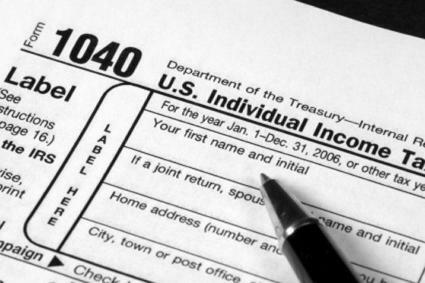 LTK: What are three basic problems to you see happen during every tax season, and what solutions do you recommend that will help people avoid them? 1. Failure to have an organized method of tracking transactions that impact the tax returns. Although items such as statements for wages or interest or dividends earned are sent to people each year, many have to search back through receipts, bank statements, cancelled checks, and so on to find their deductions. It does not take a large amount of time to establish a system for filing or recording tax transactions as they happen. That way, you can easily find items at year-end, thus speeding up the filing process. Gifts of used clothing or household items to charities. The tax portion of the annual auto registration fees. Points or origination fees paid on home mortgages. My company sends clients an annual tax organizer each year that features a series of questions that are designed to make our clients think about various deductions or incomes they might have. 3. Failing to determine the cost basis of investments that were sold during the year. If you sell stocks, bonds, mutual funds, and so on, the gross proceeds from those sales are reported to your and the IRS on a form 1099B. However, what you paid for those investments is not included on that form. The cost of the investments and the date they were acquired is something that must be provided by the taxpayer on the return to determine if that investment was sold at a gain or a loss. Probably the best solution I can offer to anyone to avoid problems like these from occurring is timely and routine organization of your tax records throughout the year, not just in March or April. LTK: How can people better prepare for the year ahead to maximize their tax savings or avoid a heavy tax burden? JS: I think it is safe to say that most people only think about income taxes once a year, and then only to deal with the year that has just past. For many, preparing tax returns or gathering the documents to have someone prepare the returns for them is stressful. They want to spend as little time on it as possible. From my perspective, the preparation of tax returns is not simply a closing of the past year. It is an opportunity to look forward into the current year and make corrections for any problems that previously existed, or to plan ways to minimize the taxes on your expected income. There is no better time to make changes for the current year when the results of the past year are fresh in your mind. LTK: If someone does get a sizable refund back because of deductions or dependents, what are your recommendations for what to do with it? Contribute to an IRA account. Make a contribution to a college savings plan for a child or a grandchild. Set the money aside in a savings account for unexpected expenses. Consequently, if the taxpayer is expecting higher taxes in the following year, perhaps use the refund to prepay a portion of the next year's income taxes to avoid having to write a large check next April 15th. LTK: Why should someone choose a CPA for tax management vs. a quick stop in the mall? JS: As a licensed CPA, of course I believe that everyone should use a CPA for his or her tax services. Most licensed CPAs have degrees from an accredited college or university, plus they must complete an extensive examination to obtain a CPA certificate. In addition, certified CPAs are required to take continuing education courses each year in order to maintain their licenses. When working with income taxes, education is a must. Tax laws change on such a frequent basis, it is imperative that tax preparers keep up to date on those changes. Knowledge of the client is another great benefit. Many of the businesses and individuals served by my practice have been clients for a number of years. The more years that I work with a client, the better understanding I gain of their tax and financial situation. This understanding allows me to offer planning solutions, instead of generic tax advice, that are tailored to their situation. I also prefer not to focus simply on the preparation process but to also look for planning ideas for the current and future years. If time permitted, it would be my goal to sit down with each client when their return is completed to review the return and discuss ideas for the next year. LTK: If you had a magic wand and could wave it over every American so he or she would do one thing to improve money management, what would that be and why? JS: It would be to plan for their financial future. This not only includes their income taxes but also their retirement, the education of their children, the investments they make, and other items too numerous to mention. Many people simply live their financial lives on a day-to-day basis, with no goals or objectives on how they are going to get through various stages in their lives. We can already see some of the effects of this type of financial behavior. Americans, on average, have one of the lowest savings rates in the world. What's more, our Social Security system is in danger of not having enough funds to pay benefits for future retirees. In addition, retirement plans where the employer provided much or all of the funding are disappearing and are being replaced by plans such as 401(k), which are primarily funded by the employees. Finally, retirees who once thought they were financially secure are rejoining the work force in order supplement their retirement income. It is becoming increasingly obvious to me that each us needs to be responsible and plan for our future. Strawhacker advises any one struggling with taxes or money management to seek help from experts. He suggests looking online, at local IRS and state tax offices, public libraries, and nonprofit organizations. Strawhacker reveals that one of his favorite websites is the IRS. The site includes forms and instructions, publications, news updates, information designed for different types of taxpayers, and something on just about any tax topic you can think of. Strawhacker believes the government's site is a great resource for people looking for information various tax laws.